Whether you’re in need of a sterndrive or outboard propeller, rest easy knowing that Oz Propellers has just what you need – great quality and even better prices! With delivery Australia-wide and secure payment options, it can’t get any easier when it comes to buying new boat propellers for your chosen vessel. Enjoy quality assurance and affordable prices with trusted aftermarket brands to suit such as Mercury, Yamaha, Honda and more. We’ve got over 25 years’ experience in the marine propelling industry so if you’re not sure which boat propeller to choose, just ask us for help today. Cruise the seas in confidence when you shop with the leading Oz Propellers. 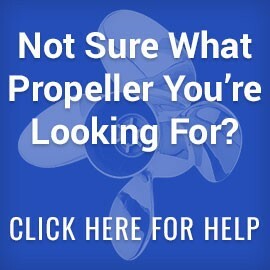 We’ll make sure you get the correct boat propeller for your application so you experience premium performance.